Dr Tatiana is recognised by her peers and patients as a leading cosmetic Doctor in London, with a wealth of experience in non-surgical facial aesthetics. She qualified as a Doctor at St George’s Medical School, following a Bachelors of Science degree at King’s College London. 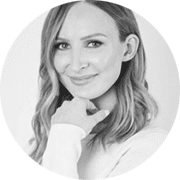 Dr Tatiana is registered with the General Medical Council and Royal College of General Practitioners and holds a first class Masters Degree in Aesthetic Medicine from Barts and the London School of Medicine. Dr Tatiana established the ‘Dr Tatiana Clinic’ in 2014 with a vision of offering safe and effective, patient-centred care.